It's hot. It's spicy. It's creamy. It's cheesy. It's delicious. What is it do you ask? Buffalo Chicken Dip. It's a mixture of chicken, cream cheese, shredded cheese, and Frank's red hot sauce . I was introduced to it during a trip to the land of the best pizza and wings I've ever had-- upstate NY. 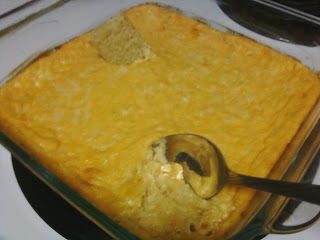 After we had stuffed ourselves with the pizza and wings out came the chicken wing dip. And it was love at first taste. I've been making it ever since. It's always a huge hit. You should go make some now as a matter of fact! :) I usually have it with some tortilla chips and/or carrots. 1 8 oz package of cream cheese. Put it in the oven or crock pot until hot. Serve with tortilla chips, carrots, celery, or whatever you like. This is what I first used for my recipe but its evolved as I've made it time and time again. You can enjoy your buffalo chicken dip in many other ways too. I've made buffalo chicken pasta with the leftovers before which was amazing! I just boiled up some pasta and frozen veggies, drain when done and mixed in some left over dip. Yum yum! I've also had friends put some on their burgers as a topping, or just smeared some on a piece of bread. It's just so versatile! I've even made it when camping. I put it in a tin pan an heated it up on the camp fire. It added a nice smokey hint. to the dip. Make some tonight and enjoy the deliciousness!! Simple to make, but yet delicious! Thanks for sharing.